Fuel Express is not affiliated with, nor offers sales or customer service for Unified Supermarkets fuel credit cards. We are a fleet fuel card provider that is accepted at virtually every gas station in the U.S. including every Unified Supermarkets gas station location. This page is intended for current or prospective Fuel Express customers to review all of our fleet fuel and gas card acceptance locations. To learn more about our fleet fueling services, please contact us or apply for a fuel card from Fuel Express today. 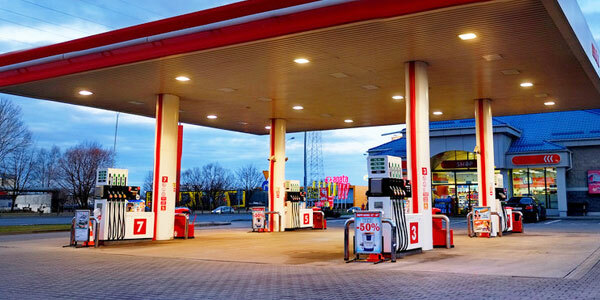 At Fuel Express, our gas card can be used at all Unified Supermarkets as well as countless other locations. These cards have helped dozens of fleets in a wide variety of industries improve their business. Enjoy better efficiency, fuel management, and an improved bottom line. With a gas card from Fuel Express, you can give your drivers the opportunity to fill up at virtually any gas station. Our gas card is accepted at more than 230,000 locations nationwide, including all Unified Supermarkets. This means your drivers won’t have to go far to find an acceptable fuel location. With the ability to fill up at the nearest station, your drivers can get back on the road quickly and complete their deliveries or appointments on time; at Fuel Express, we know that faster completions mean an improved efficiency. We want to help you take full control of your fuel budget. That’s why we offer management tools to help you do so. With each fleet fuel card, you’ll have access to an online account where you can track the time, location, and date of each purchase your drivers make. In addition, you’ll have the opportunity to set spending limits and purchase restrictions. These features can make sure your employees don’t spend more than they should or buy anything that’s unacceptable. With a fuel card that offers budget tools, you can better manage your operations. Should anything go wrong, we’re always here for you. Whether your driver needs help during a middle-of-the-night trip or you need assistance first thing in the morning, we offer toll-free customer support. Our support line is open 24 hours a day, 7 days a week. We also offer fraud protection for each of your fuel cards. We’ll monitor the activity that occurs on each one and if we notice anything suspicious, we’ll alert you immediately. Discover the benefits of our gas card today. Contact Fuel Express for more information.